This simple crustless coconut pie is also referred to as “Impossible” Coconut Pie. Impossible pies are a southern thing. It’s called “impossible” because it actually makes its own crust with the small amount of flour added to the mix. I just love that it saves me the labor of rolling out pie dough! 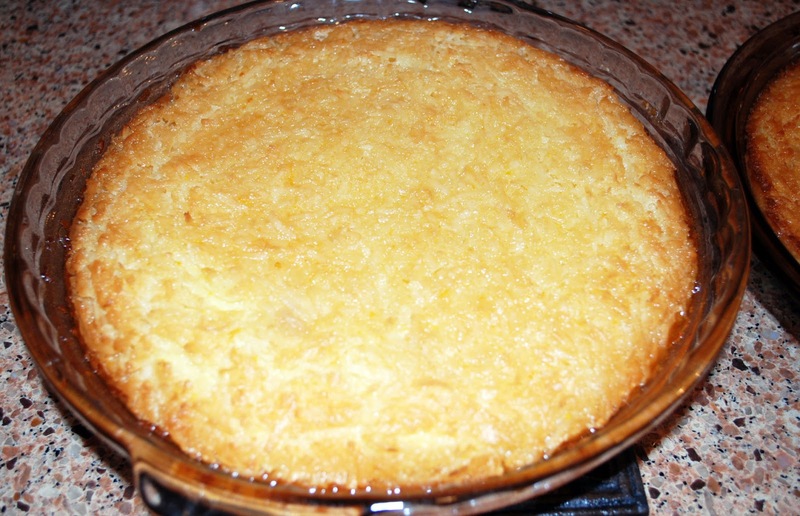 This crustless coconut pie recipe is a revised version of one that was published in Food and Wine magazine. I made some additions and some healthy changes. I added orange zest, vanilla and coconut extract to the original recipe and WOW! These flavors marry together like a match made in heaven! I took out some of the fat and calories from the original recipe by lightening up the ingredients, but you won’t miss them a bit. I love to serve it warm with a small scoop of vanilla frozen yogurt. It tastes like warm, coconut custard. It is also good served room temperature with a dollop of whip cream on top. Store pie in the refrigerator and bring to room temperature before serving. I think it’s superb and hope you do, too! If you’re a big coconut lover, then don’t miss this Light Coconut Cream Pie and my mom’s recipe for Moist Coconut Cake. It’s heaven on a plate. Preheat the oven to 350 degrees and spray two glass pie pans with non-stick butter-flavored cooking spray. In a large bowl, whisk the melted (and cooled) smart balance butter with the sugar and coconut oil. Add the eggs and beat until smooth (the butter cannot be hot or your eggs will curdle). Add vanilla extract, coconut extract and orange zest. Stir in flour, coconut, milk and sea salt. Stir until all ingredients are blended. Divide the mixture between two pie plates. Bake in the lower third of the oven for 40-50 minutes, until pies are firm to the touch and golden. Watch pies in the last 10 minutes of baking and if the edges are getting too brown, cover with foil for the remaining cook time. 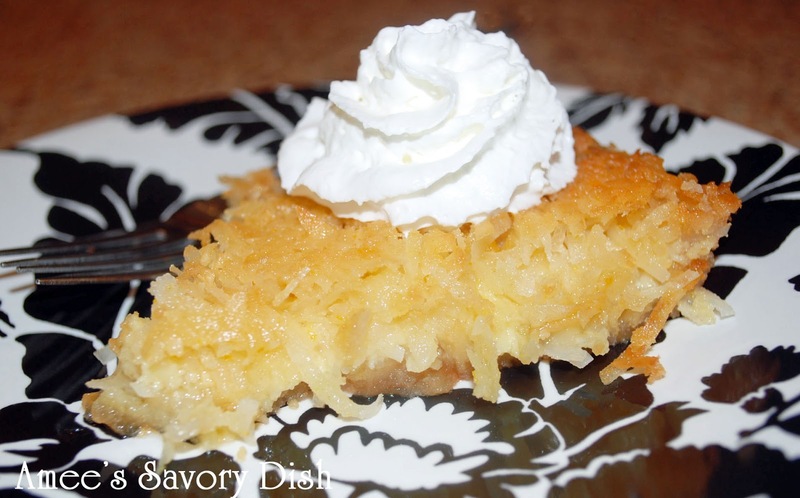 If you give this Crustless Coconut Pie a try, be sure to tag me on social media! Looks divine! You’re so clever with your changes – wish I could have a piece of it right now! MMM!